Clerkenwell's showroom district provides a constant stream of design and creative inspiration when wandering past the giant windows of fashion and furniture retailers like Vitra, Knoll, Boss Design and Kholer. On Goswell Road, one of the streets that forms the central crosspoint to this part of the city fringe, the sweeping corner facade of the Zaha Hadid Design gallery sits directly next to the entrance of number 99, a building where Colliers are marketing a self-contained ground floor office space. The unit's interior mixes a mildly industrial aesthetic with creative office design, where 3.5 metre ceiling heights and large casement windows form the core canvas. The floorplate of 2,075ft2 is laid out to include a large open plan workspace, separate meeting area, modern kitchen and demised WCs, with a backdrop of Victorian radiators, painted concrete floors and lighting on exposed conduit. The unusual option to buy or to rent creates a widening of the regular audience, from businesses seeking a straightforward lease, to those nabbing the chance to own their own workplace, to investors expanding their rental portfolios in London's creative quarter. Alongside the contingent of showrooms, design studios and creative enterprises, the local street scene is enlivened with a vast choice of places to eat and drink at any time of day, from coffee to cocktails at breakfast or bedtime. The nearby street food market at Whitecross Street is a firm favourite with people working in the neighborhood, where food trucks and stalls mete out dishes from around the world in a vibrant and aromatic atmosphere. Also nearby, equally as busy but somewhat more sedentary, the gastro boulevard at The Bower hosts some of Londoners’ favourite names from the city's contemporary dining scene. The future is also bright in this corner of the world with two imminent developments about to transform the local connectivity. About half a mile east of Goswell Road, Old Street Roundabout is set for a major change of direction when the busy gateway to Shoreditch switches its allegiance from cars to pedestrians and becomes an open public piazza. Nearby Farringdon station, meanwhile, will become a major London transport interchange at the end of 2019 when the Elizabeth Lines opens with the completion of Phase One of Crossrail. 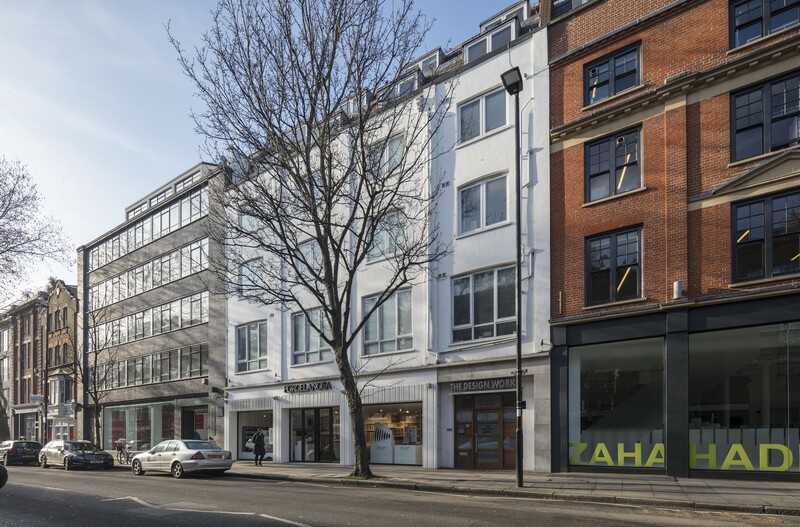 We are quoting a rent of £45 per ft2 for the office, or a sale price of £1,825,000 + VAT.